Home Bitcoin Where Will Bitcoin Take Us Next in The Future? Unless you are some kind of money genius, then it is going to be difficult to wrap your head around what bitcoin really is. People say that bitcoin is a difficult solution to a mathematical problem. Even when people already know the basics about bitcoin, understanding it belongs in another chapter of a book. 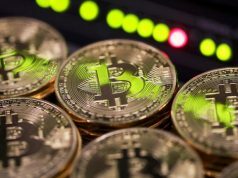 These past few months, the internet has been talking about how certain companies are planning on creating new uses for bitcoin. As of this very moment, its only use is for online transactions, not to mention an alternative money for people who has trouble with their downsizing fiat currencies. People are excited about where bitcoin can take the world, as soon as bitcoin reaches its optimal stage of development. 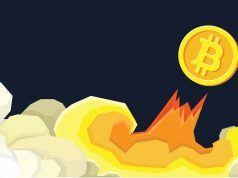 What could possibly happen to bitcoin in the future? Right now, certain countries are trying to legalize bitcoin. What does the legalization of bitcoin mean? Of course, it means that people can already start using bitcoin for purchases without having to worry about the government, but on the other side of the coin, bitcoin will no longer be as free of a financial system than people expect it to be. There is no way bitcoin is going to be legalized without being put in the grasp of the elite people. With that, everyone is just going to go back to the plain old currency. Of course, bitcoin is still going to be bitcoin. It will not transform into another fiat currency, but you know where things take off from here. It’s true that the future is soon to come for the world of bitcoin, but it is not as soon as most people think. 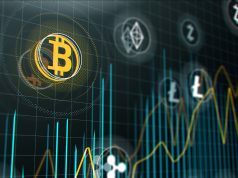 Companies and countries are getting more and more interested in bitcoin. This said, they assume that the future is near. It is not. Many things are going to go in the way of bitcoin for the future. There is a line that stands between bitcoin and the real world: the banks and other elite. Until the future for bitcoin actually comes, people on top will keep on figuring out how to get a hold on bitcoin.